Tesla Model 3 will have rear wheel drive (RWD) as standard feature with the option to upgrade to a dual motor all wheel drive configuration. In a surprise flurry of Twitter replies late Sunday afternoon, Musk revealed additional details about the drivetrain for the upcoming Model 3. The $35,000 base version of the vehicle will have a standard RWD configuration while those that seek additional performance and an improvement in range will be given the option to upgrade to Tesla’s dual motor all wheel drive set up: standard feature found on the Model S and Model X. 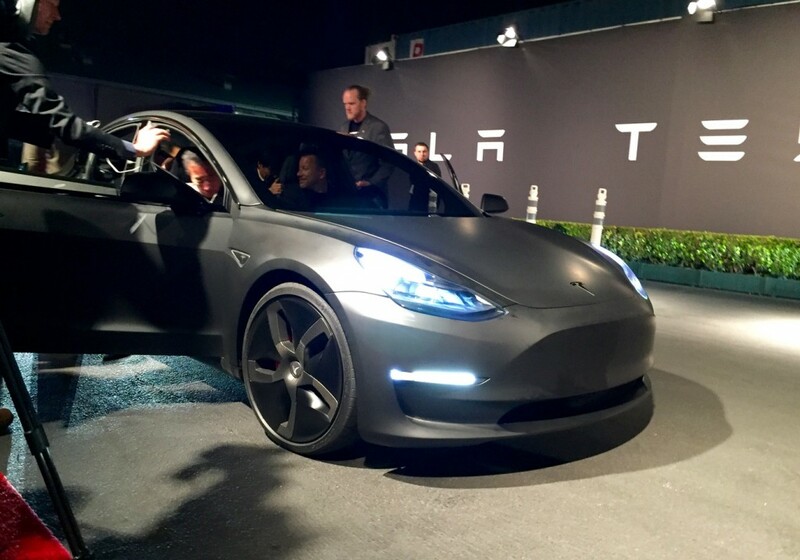 Despite the touted performance and range improvements from a dual motor configuration, the question remains whether first-time Model 3 buyers – many of which have waited years for the chance to purchase an affordable Tesla at $35,000 – will remain price conscious and stick to the standard rear wheel drive offering, or make a financial stretch and upgrade to an all wheel drive version of the Model 3. Check out our ride in an all wheel drive dual motor Tesla Model 3 from the unveiling event.